Ryptide is a life saving drone accessory that can deliver an automatically inflating life preserver to a swimmer in trouble in seconds. 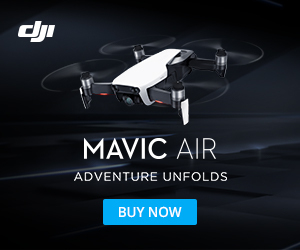 The system can be attached to any drone capable of carrying a GoPro camera and brushless gimbal, including the popular DJI Phantom. A Ryptide Kickstarter project of April 2015 resulted in 79 backers pledging $10,522. The system was developed by Flying Robots LLC and students from the King Low Heywood Thomas school of Stamford, CT. The basic model of Ryptide will attach it to a DJI Phantom drone out of the box in just a few seconds and weighs less than the typical GoPro camera and gimbal commonly used by drone operators. The device is triggered from the RC transmitter, and several models have been developed, including one with an FPV Camera that can drop up to 4 life rings. The drop mechanism uses the same radio channel that is used to control a camera gimbal on many drones. If you fly a drone that can carry 450 grams then you can use one of Project Ryptide devices. The system designed carries a SOLAS* approved life ring approximately 600mm (24″) in diameter that uses a CO2 cartridge to automatically inflate upon contact with water. The ring provides approximately 18KG of buoyancy and can also be inflated manually. The system can be recharged and used again with a recharge kit. The system inflates automatically upon contact with the water in less than 5 seconds.